If musician Kwabena Kwabena’s expressed support for the New Patriotic Party’s (NPP)’s Presidential Candidate, Nana Akufo-Addo, is extremely welcome news, but actor John Dumelo’s passionate support for the National Democratic Congress’ (NDC)’s John Mahama throws you into fits of anger, then the problem really is your intolerance and has nothing to do with Dumelo! If you are in the habit of loudly and repeatedly playing Daddy Lumba’s hit song Nana ye winner a million times over, being madly in love with its supporting lyrics, but baulk in disgust at Lucky Mensah or Jewel Ackah’s NDC compositions, then you are the problem, and not the artistes! There is an unmistakable intolerance in the air. This intolerance is fueled by arrogance. Some of us are indeed too full of it. We feel we know what is so right for this country that no one else dares have an alternate view. We feel our political positions are so justified that we fume with anger whenever lesser mortals dare to take an alternate view. We are not inclined to patiently win our political opponents over, but will berate them with threats of boycott and insults – for simply not supporting our views. Presumably, entertainers supporting Akuffo-Addo are welcome to his region. And of course, it must be his baseless argument that the likes of Kwabena Kwabena, Ampong, Lumba, etc. were never bribed to offer support for his preferred candidate. The NDC’s presidential candidate must necessarily be so bad that any sane person supporting him must only be doing so on the back of a “bribe”. Herein lies the repugnant arrogance that has been percolating the atmosphere in the last few weeks with Dumelo’s continuous affirmation of his support for Mahama. To the likes of the Ashanti Regional Chairman and those who operate in a similar mental mode, I wish to point out a more excellent way. Incidentally, this good example is from the NDC’s Kofi Adoli. In 2012, Leila Djansi, a film producer and director, expressed support for John Mahama. Sometime early this year, she expressed deep regret for her vigorous campaign for the NDC, alluding to the challenging power crises, challenging economic situation and other national difficulties, etc. I recall Adoli’s reaction most vividly. It was a reaction that was admirable in every respect. Kofi Adoli did not insult Leila Djansi. Neither did he threaten her with vandalisation. Rather, he went to great lengths to convince Leila Djansi that she was mistaking in her conclusions, putting out supporting facts to buttress his argument. Kofi Adoli pointed out 13 Community enhanced Information Centres in the Volta region, the 800km Eastern corridor fibre optic network laid by the government from Upper East through Northern Volta to Ho. Because Leila complained about people having to walk long distances in the part of the Volta region she hailed from, Kofi Adoli took pains to describe extensive road construction work undertaken by the government. Further, he pointed to infrastructural developments in the area of healthcare. He then drew Djansi’s attention to the abolition of the quota system in the education system thus enabling some of our over 15,000 qualified teacher trainees to gain admission to our 38 public colleges of education. Enrolment in Colleges of Education have reportedly shot up to 63 per cent . In addition, over 4,100 teacher trainees are reportedly benefiting from the expansion of the Student Loan Trust Fund to cover teacher trainees while teacher absenteeism has reduced from 27 per cent in 2012 to 9.3 per cent in 2015. And on and on Kofi Adoli went. Not one insult. Nor a threat! No arrogant presuppositions! But this is the point. The glass will always be half full or half empty. Opinions, they say, are like noses. Everyone has them. And it is perfectly fine in a so-called democracy. The lesson that people like Wontumi ought to learn is that progressives such as Kofi Adoli are seeking to persuade their political opponents with the force and logic of their arguments and not through brutish coercion. This spectacle of intolerant democrats and arrogance masquerading as political canvassing is most nauseating! John Dumelo has done nothing wrong by supporting John Mahama in much the same way that Kwabena Kwabena is free to support whoever he chooses to. This matter of a picture of Dumelo and Akufo-Addo purportedly indicating double standards is neither here nor there. At best, it demonstrates that they met. The picture does not convey secrecy. It does not convey support. It does not convey double standards. So I cannot understand what the excitement is about. 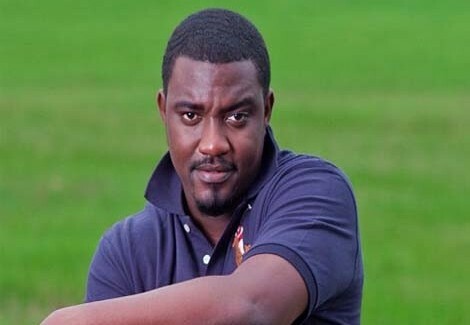 What I know is what John Dumelo has said –that he supports John Mahama. And that is perfectly fine. It is a free country, after all!